Published: Nov. 25, 2018 at 07:30 p.m. 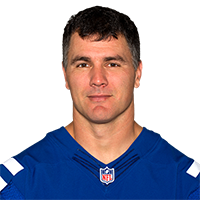 Published: Oct. 8, 2017 at 05:02 p.m.
Indianapolis Colts kicker Adam Vinatieri knocks through the game-winning field goal in overtime. Published: Nov. 22, 2015 at 04:07 p.m. Published: Nov. 3, 2015 at 12:30 a.m.